10 strands of turquoise heishi finished off with sterling silver beads. All sterling silver wires and cones. 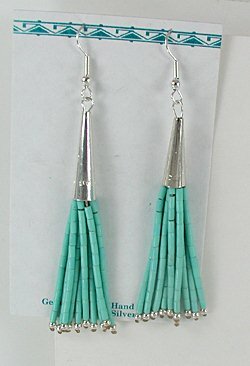 Paula says - "These earrings would go nicely with a turquoise heishi necklace."